Each week, I draw a card from my Druid Animal Oracle deck as an omen for the week. I pray for guidance as I go forward. During this week’s ritual, I pulled the owl card. I’m not used to seeing this omen, so the meaning didn’t come to me right away. At first I thought about wisdom, stealth in the dark, and change because of the myth of Blodeuwedd the flower maiden. She is transformed into an owl for betraying Lugh. This made me stop and think a lot about change. The frog card can signify change, but it’s a total change – inside and out, possibly including one’s environment. Snake can also indicate change, but more superficial. One must shed one’s skin in order to grow. What kind of change is the owl, then? A punishing change? An unwanted change? Change via divine intervention? I then thought about the link between owls and An Cailleach, as the Scottish-Gaelic cailleach-oidhche refers to owls. An Cailleach transforms from old to young in several stories. Could the owl card refer to a change via age or even a spiritual transformation? I asked for more clarification and drew another card after shuffling. This time the cat card came to me. I associate this card with protecting the home and, at times, sensuality. The former meaning comes from some Irish stories in which cats guard treasure, especially in fairy realms. As I have cats at home, I see them as protectors and very hearth-centric. I thought more about the connection between the cards. They are both predators capable of seeing in the dark, yet I felt more confused. Although I feel I have a good sense of the cards, their meanings, the symbolism of the animals, and my own understanding of their lore and biology most of the time, I occasionally turn to the companion book for further insight. I might have forgotten something. Interestingly, another meaning for both cards is “detachment.” Well, when both cards have literally the same word in their symbolic description, it’s hard to overlook the emphasis. I’m not sure what this omen means to me yet. Is it a blessing? A warning before something comes up? Maybe it means that, in order to engage with the spiritual change I seek, I need to take some time for myself. This would make sense given my last post about once more delving into trance practice. Only time will tell. Learning a divination system can be a complex process, but I love how rich and thought-provoking it is. The poet, Shane Koyczan, takes a more “rationalistic” and archetypal view of the Gods, but I find his view on the Titan Atlas, particularly his modern relevance, to be fascinating. Just as interesting is his retelling of the age-old story of the Earth Mother and Sky Father. How is ancient myth relevant to our currant environmental crisis? Just watch. Koyczan’s poem is very moving and gives hope in what can otherwise seem like a hopeless situation. I started to explore the concept of crane bags back when I was pregnant. I made a small bag specific to my pregnancy and desires for delivery. The linked post is also where I shared the basics of what a crane bag actually is and where it comes from in Irish lore. 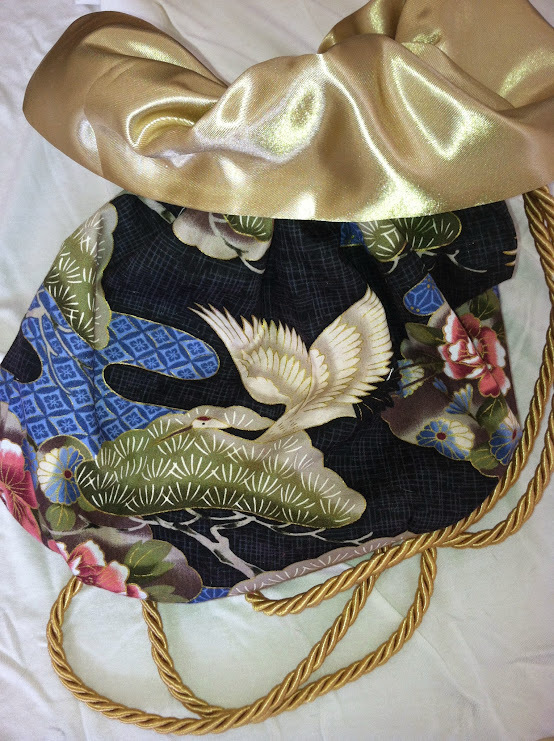 Later, I decided to make a larger crane bag to carry with me during ritual and outdoor treks to the forest shrine. I looked to the oak tree as my inspiration. I’m still quite fond of how it turned out, and I continue to add special pins to the strap. My latest crane bag is actually a commission for a friend and member of Northern Rivers Protogrove. She picked out and purchased the fabric (complete with actual cranes!) and we looked at different types of bags for inspiration. I ended up making my own pattern based on a photo we liked. I’m so happy with how it turned out, and I love the colors she chose.